Google has recently launched Google Panda 4.2. The update affects 2-3% of all search queries and is expected to take several months to complete rolling out. Published: Aug 3, 2015. 09:57 +0100. Google recently (24th July 2015) confirmed that Google Panda Update is now rolling out and that it should take several months to complete fully. Gary Illyes further stated that it would affect 2-3% of search queries. Panda is an algorithm update that focuses on Content Quality. The news of the update come hot on the heels of an announcement that the Update had been delayed for technical reasons, although no elaboration was made at the time of the cause. 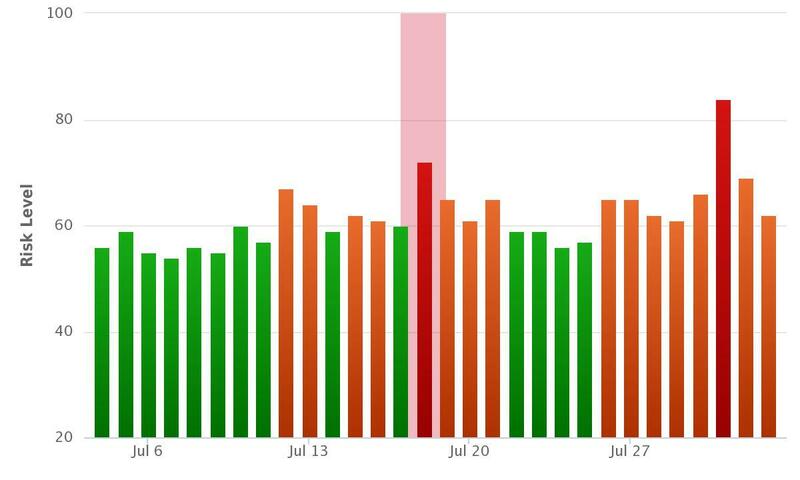 Also, there have been a few false alarms with some general algorithm changes by Google that targeted content quality, such as the May Update. To be as detailed as possible, we will talk a little about what Google Panda is, how long it is likely to take to complete its roll out and finally the number of websites that that will be affected by the latest update. The Update is an algorithm change first launched on the 24th February 2011 that was specifically designed to benefit high-quality websites. It did this by demoting low-quality websites in the SERPs. We believe the Update works by giving your website a score, and when the data is refreshed (which can be anywhere between a few months and in the case of the latest update over ten months) your score is updated. This means that webmasters hit by the algorithm can expect to wait a long time to recover even if they improve their website quality in a very short space of time. This specification describes how a system can determine a score for a website, e.g., a website or other collection of data resources, as seen by a search engine, that represents a measure of quality for the website. The score is determined from quantities indicating user actions of seeking out and preferring particular websites and the resources found in particular websites. A website quality score for a particular website can be determined by computing a ratio of a numerator that represents user interest in the website as reflected in user queries directed to the website and a denominator that represents user interest in the resources found in the website as responses to queries of all kinds. The website quality score for a website can be used as a signal to rank resources, or to rank search results that identify resources, that are found in one website relative to resources found in another website. More guidance on building high-quality websites (6th May 2011) — This article was published soon after the Panda Update was first launched in February 2011, aimed to give initial guidance on how to build high-quality websites to avoid being caught by the algorithm. It contains many questions to ask yourself to help determine whether your website is high quality. Webmaster Guidelines (continually updated) — This should be your primary “go to” resource. You will find various links from this page giving advice for everything from “ creating pages with little or no original content “ to advice regarding affiliate programs. Essentially, whenever you read a third-party article about an SEO topic we would recommend comparing it against the advice given by Google here, and then forming your opinion based on multiple sources. Ultimately, you may have to take a long hard look at your website. You might need to combine multiple articles, delete others or simply de-index low-quality content such as “tag” pages or extremely short \ duplicate content. It is also useful to revisit old content to see where it can be improved. Google Panda has a history of rolling out over several weeks or months. The last update (4.1) for example took around eight weeks to complete, although previous updates were a little quicker than that. In a recent Google Webmaster Central Hangout, John Mueller indicated that the roll out of Panda 4.2 would be slower because of technical reasons. Gary Illyes previously mentioned that it was delayed for “technical reasons” when we asked him about the timing of the update here, and it seems this phrase has stuck. While John Mueller indicated that there was a particular “internal issue”, he did not (and most likely won’t) elaborate further. You can hear what he had to say here (the link takes you to the particular place in the YouTube video). For technical reasons we are rolling it out a bit slower. It is not that we are trying to confuse people with this. It is really just for technical reasons. So, it is not that we are crawling slowly. We are crawling and indexing normal, and we are using that content as well to recognize higher quality and lower quality websites. But we are rolling out this information in a little bit more slower way. Mostly for technical reasons. Google panda 4.2 update Rank Risk Index. © Screenshot. Who is Affected by Panda 4.2? As we mentioned above, Gary Illyes at Google stated that about 2-3% of search queries would be affected by the latest update. This is somewhat significant, but significantly less that the 11.8 percent of queries affected by the first Update. More recently, Panda 4.0 (20 May 2014) and 4.1 (25 September 2014) affected 7.5 percent and 3-5% respectively. Will Panda roll into the core algorithm? There have been some interesting thoughts around the web that the slower rollout is due to Google incorporating some of the Panda signals in the core Google Algorithm. This would allow a more seamless approach to content quality allowing the better content to rise more quickly to the top of the SERPs. I brought up the possibility that Phantom was actually the migration of Panda (or Panda factors) to Google’s real-time algorithm. It’s entirely possible this is the case. I’ve analyzed many websites hit by Phantom 2 and every quality problem I surfaced would have been picked up by a thorough Panda audit. We think this view has merit and explains why many webmasters thought a Panda was rolling out in early May. It will also mean that future updates may not be as severe as we are used to, and because Google will be able to determine better content quality in real-time (to some extent) it “should” improve the results in the SERPs for those consistently producing high-quality content. Whether you have been affected by the latest Update or not, we recommend that you continually evaluate the quality of the content on your website. As spammers and black hat SEO’s adapt to the new environment, it is inevitable that Google will look for more and more signals to seek out the higher quality content in the future and therefore it is wise not to wait until you are penalized before taken action. After all, many webmasters have had to wait over ten months to even have a chance at a recovery from Panda 4.1.